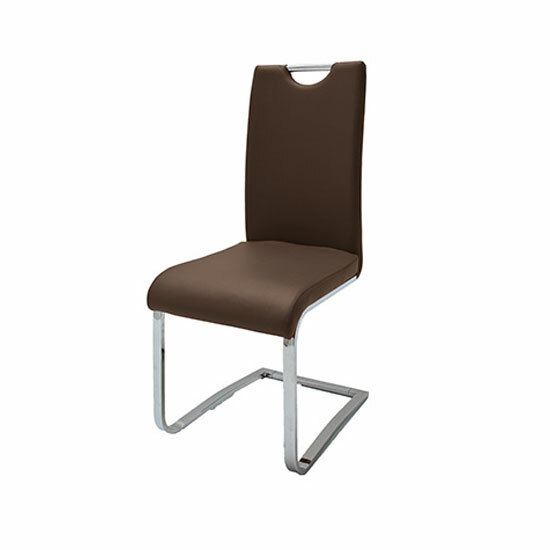 Dining chairs with handles are usually more comfortable than simple chairs with backs. Sure, the final choice will depend on your dining room space — after all, when it comes to furniture, more comfortable usually means more spacious. So, before you start looking for dining chairs with handles, you should take some time to carefully measure your dining area — do not forget that there should be some space left between the chairs — and consider how many chairs you are going to need. One of the most impressive ideas on dining chairs with handles would be to go with genuine leather. Stick to light shades if the table is light and prefer dark leather for a rich, deep shade of genuine wood. There is nothing more memorable than white leather top on wooden dark legs. This is an amazing addition for a genuine wood table — especially if you stick to the same dark shade of wood. Contrast as classy as that will never go out of style. 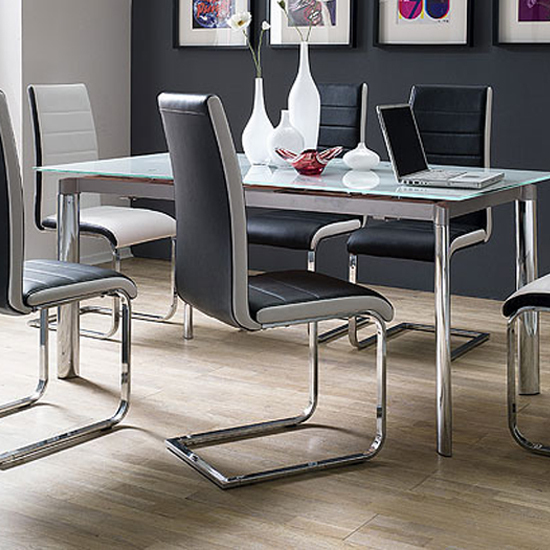 To ensure modern atmosphere in your dining area, go for dining chairs with handles on a chrome base. They look especially great with light upholstery shade and light tables. High gloss and tempered glass are some of the most impressive dining table models for this kind of an arrangement. With a neutral table — for example, clear glass or white high gloss finish — bright velvet chair upholstery is a perfect contrasting element. Decoration solution like that will give any room a stylish, memorable look — so feel free to explore the brightest shades you can find. Handles require space — both physically and visually, so a very nice idea to give the set a more compact look would be to go with low, compact back design. On one hand, it will ensure proper back support, while on the other one it will not create furniture clutter. While working with a spacious dining set, think of going with different chair colours. Rainbow effect in the room will cheer it up and make the environment truly unforgettable. A more neutral solution that still offers you a chance to get creative with your dining chair design is to mix match the chairs. While doing so, it is advisable to have at least a pair of each chair design / shade. And, of course, you can always go for the easiest solution possible — match your dining chairs with handles to your table shade. This simple and elegant idea is a truly timeless approach to decoration.